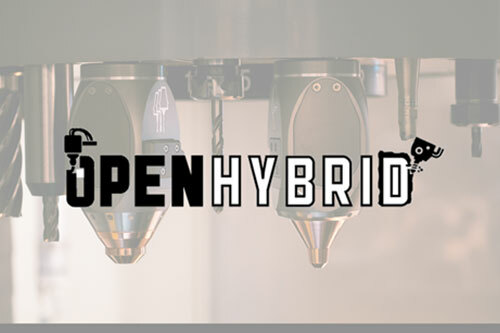 The OpenHybrid project will offer unrivalled flexibility, high quality on parts produced and increased productivity for companies looking into taking advantage of its unique ability to perform both additive and subtractive manufacturing. 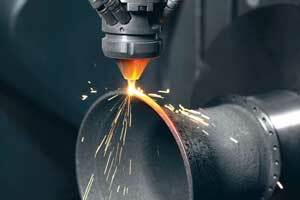 In recent years the combination of laser-based Additive Manufacturing and Computer Numerical Controlled (CNC) machining has become increasingly popular, with several machine tool manufacturers exhibiting products based on different machine tool configurations (hybrid manufacturing). Most commonly hybrid system is based on Directed Energy Deposition (DED) AM processes. By creating new hybrid machines, equipped with both subtractive and additive manufacturing technologies, OpenHybrid will be a game changer for faster creation of new opportunities and applications for Additive Manufacturing (AM). This new solution, when implemented, will increase the level of robustness and repeatability of such industrial processes, will optimise and evaluate the increased performance of production lines in terms of productivity and cost-effectiveness and, finally, it will assess the sustainability, functionality and performance of the produced new materials. Beyond new parts production, this new manufacturing method will also allow for a very effective repair technique. A key objective of OpenHybrid is to make integration of the hybrid system onto any machine tool platform as easy as possible. 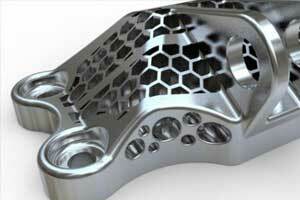 The ability of a machine tool to be hybridised will be termed hybrid ready. The concept of hybrid ready will be tested in the project. Can fit new part production or very effective repair technique. Laser cladding will be employed, offering: Excellent control, Very high deposition rates,	Material flexibility, Minimal substrate interaction. Novel techniques to: Reduce thermal stress and provide a robust inert gas environment to ensure material quality. The OPENHYBRID consortium met on the 24th and 25th of October in Turin at the CRF plant, for the M24 meeting. 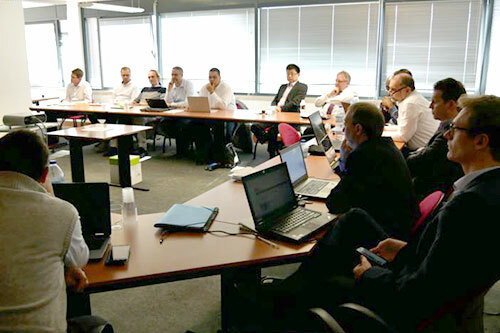 Recently, the OPENHYBRID team joined again on MTC's facilities, from the 16th to the 18th April, this time to have an interim evaluation with the European Commission on the progress made so far. 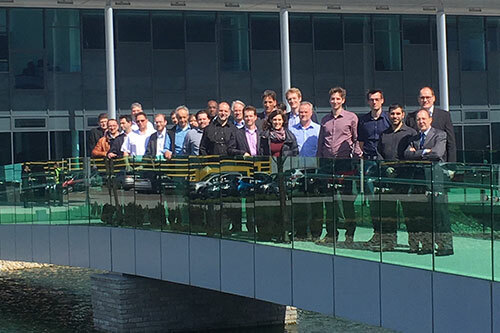 The OPENHYBRID 12th-month meeting took place at the TagusPark Congress Centre, in Oeiras Portugal, on the 13th and 14th November and was organised by EWF.